New Atheists Who Want to be Nicer (and Smarter) with Religion, esp Islam! New Atheism . . . must recognize the humanity in religion while maintaining a candid dialogue about deep-rooted conflicts between reason and faith. A matured New Atheism is needed more today than ever before . . .
Those words are from New Atheist writers, Peter Boghossian, James Lindsay & Phil Torres, published in Time: How to Fight Extremism with Atheism. Jerry Coyne and other NA enthusiasts still speak of “the nature of Islam” as if Islam is a palpable force with an animate nature; and to support what is effectively a demonization process they generally take as representative of all Muslims polls in developing countries, especially the “Dark Orient” and the “Dark Continent” where the native populations skin colour happens to be as “dark” as their Islamic beliefs. No kidding! Of course other New Atheists obsessed with sputtering bile about Islam, speaking of it as some ectoplasmic monster that demoniacally possesses its mostly dark-skinned acolytes, are not impressed by these three maverick NAs. Jerry Coyne, for example, protested that New Atheists don’t go around calling religious people delusional. 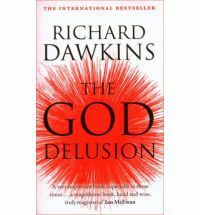 Seriously, how many New Atheists call the faithful “delusional”? I don’t often hear that. Boo! Your God belief is a delusion but I am too sensitive to call you delusional. How deluded can a New Atheist be? Immediately preceding that shockingly renegade suggestion that insulting people is not good for serious dialogue was a paragraph about the impact of Richard Dawkins’ The God Delusion. The response of Jerry Coyne’s followers was to play the cute self-justifying word-game that insists a belief can be delusional without implying the believers themselves are delusional. So Coyne’s followers echoed his sentiments, disapproving of the Time article where it criticized NA approaches and magnifying beyond recognition of the original article where it made positive comments. I feel like that part of the article should have been left out completely as it makes the whole thing pointless. If NAs are the only ones who have made genuine in-roads because they’ve pointed out the falsity of religious beliefs, who exactly is going to take up the baton if they can’t take it any further? It seems to be a bit of an apology to the religious for criticizing their (delusional) beliefs after they’ve just acknowledged that N. atheists are the only ones who’ve really got anywhere. New Atheism may have inched into the Islamic world, but it has not found deep roots. . . . The fact is that several publications have appeared since 9/11 about atheism and apostasy in the Islamic world that demonstrate how long-standing such conflicts have existed there, long before September 2001. That Richard Dawkins’ book was downloaded so often in those quarters testifies to the ready-demand existing there prior to its publication. Recall the Arab Spring when Muslims took to the streets often at risk to their lives to call for secular democratic governance. NAs surely evince a little hubris if they believe they are the ones who, as the “best (most rational) of their breed” have taken up Kipling’s “white man’s burden” and been responsible for exposing supposedly Islam-benighted souls to the pure light of reason. Did you know that the world is round? The Time article calls for more moderate and understanding strategies to open “candid dialogue about deep-rooted conflicts between reason and faith.” I can’t complain about new strategies but I do question the emphasis on demonstrating religion’s incompatibility with science. Today I learned through a new Jerry Coyne post that The Baffler has posted a beautifully written article by Sam Kriss, Village Atheists, Village Idiots, making the same point in a much more interesting way. He compares the distinguishing NA strategy with the decision of a lunatic to repeat over and over “The world is round” to prove his sanity. No-one can disagree with that statement, he reasons, but of course he only manages to demonstrate that he fails to appreciate the contexts in which he is attempting to make his point, gets into bigger trouble, then protests that he is being persecuted for proclaiming nothing but the obvious truth! Jerry Coyne, unfortunately, cannot grasp the point (to do so would require some uncharacteristic self-reflection) and in his typically open-minded style chooses to cut out the entire journal from his life for this one article: Idiot compares atheists to village idiots. Everyone knows that religion and science embody irreconcilable understandings of the world. We don’t say insects are wrong because they are not plants. Or rabbit is stupid because it’s not a tree. Probably every child being reared by a family who believes God created everything (whether thousands of years ago or billions of years ago, whether by suddenly making fully formed species appear or by guiding evolution) and that science is either not the whole story or is the completely wrong story. No one needs to tell Religion that it does not agree with Science. When anti-theists complain about the unscientific nature of religion they are really advertising their ignorance of what religion is, why it is, how it seems to have come about. New Atheists need to do their homework instead of merely shooting fish in a barrel for fun. So when Peter Boghossian, James Lindsay and Phil Torres call on NAs to recognize the humanity in religion it sounds to me as though they are on the right track that leads eventually to a genuine understanding of what they are dealing with. Atheism, Ali points out, is a logical step that comes after Enlightenment values like rationalism and tolerance, and the liberties of a free, open and secular society are in place. But to act on this most logical of precepts would mean actively protesting against our own Western governments who are propping up the regimes that violently crushed the Arab uprisings across North Africa and the Middle East not very long ago. Or in Syria it would mean calling on our leaders to withdraw all support for the Islamist thugs trying to replace the Assad regime and then throwing every effort into supporting the original Arab Spring leadership. Somehow I cannot see such genuine support for the building of “free, open and secular societies” coming from people like Sam Harris and Jerry Coyne. That’s a narrative that does not sit well with their view of Islam itself is the unregenerate evil to be confronted. Real people who actually make their religion (insofar as each of them has a religion) what it is are reduced to a mere shadow of the Beast of Islam itself. I suspect the influence of “ex-Muslims” or “atheist-Muslims” of questionable character and tactics is at best limited in the Muslim world more generally. Changes are most likely to come from within the Muslim communities themselves. Muslims in countries like the US and Australia have in the main adapted to Western ways. Problems that persist are generally among the new generations, the “in-betweens” of the second generation feeling neither part of their traditional heritage nor at one with their parents’ new home. But that’s how it has always been with migrant families including the Greeks, the Italians, and then more recently the Vietnamese. We know that such conflicted worlds do eventually pass. In an interview as well as in a book co-authored with Sam Harris Maajid Nawaz said something about Islam that I have seen few NAs notice: Islam is neither a religion of war nor a religion of peace. It is whatever people make it. That statement demolishes Islamophobic claims by many NA supporters that Islam is a force or power that is “by nature” evil. Naturally we all want to see the day when there will be no more human rights violations in the name of religion, but at the same time we need to understand what we are engaging with. Religious practices, however much they stand in opposition to human rights (and Christianity is still trying to move beyond its primitive days, too, let’s not forget) are not the same as terrorist ideologies. It is a mistake — and contrary to all serious research into the nature of radicalization and violent Islamists — to treat the two as if they are all part of the one package that contains a monolithic force for evil. As classic cultural imperialists NAs decide for themselves how to interpret the Qur’an and accordingly believe in the reality of their imaginary dragon spitting out terrorist flames at random. A more productive approach is to “recognize the humanity in religion” and listen to what all those living in the Muslim world (everyone from sceptics and rationalists to conservative, Western, Eastern and reformist imams) and those ideologically committed to the Islamist world are themselves saying.